The Microsoft stock history tells a tale not just of peaks and valleys, but an uncanny knack to exploit opportunities. Microsoft Corp. (Nasdaq: MSFT) is one of the U.S. tech industry's foundational companies. As the provider of the market-dominating Windows operating system and the Office productivity suite, Microsoft became synonymous with the PC revolution. 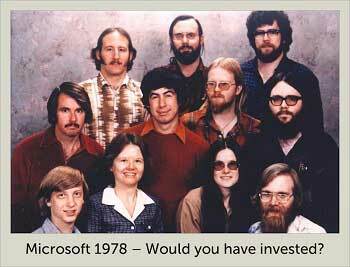 Like many of the legendary companies of Silicon Valley, Microsoft had very humble beginnings. 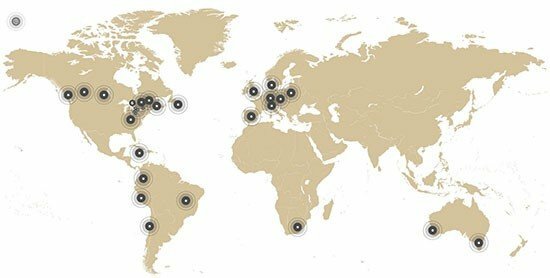 Founders Bill Gates and Paul Allen saw an opportunity to write software for the just-emerging PC industry and set up shop in Albuquerque, N.M.
Two decades later, Microsoft was the most powerful tech company on the planet, raking in billions of dollars annually via its two flagship products. While Microsoft stagnated for most of the 21st century, new CEO Satya Nadella has injected a fresh enthusiasm into the Redmond, Wash., tech giant, perking up MSFT stock after years of drifting sideways. But for a few key events, Microsoft's history would have turned out very differently. Early in 1975, Allen showed Gates the January edition of Popular Electronics. The magazine featured the Altair 8800, one of the first true PCs. The duo decided to write a version of the BASIC programming language for the machine and sell it to the makers of the Altair. When the New Mexico-based company agreed to buy their software, the pair moved to Albuquerque and founded what was then dubbed Micro-Soft. First-year sales: $16,005. Microsoft shipped its second computer language, FORTRAN, while it worked on several others. Microsoft rapidly built a reputation as a top software provider for multiple computers coming onto the market, such as the Commodore PET and Radio Shack's TRS-80. Microsoft even sold a version of BASIC to Apple Inc. (Nasdaq: AAPL) for use in its new Apple II computer. Microsoft signed a contract with International Business Machines Corp. (NYSE: IBM) to supply the operating system for the IBM PC then in development. But instead of buying what became known as MS-DOS from Microsoft, IBM simply licensed it – and allowed Microsoft to license it to third parties. IBM never anticipated the avalanche of PC clone-makers that sprang up in the 1980s. Microsoft licensed DOS to them all. And as "IBM-compatible" machines, businesses and consumers alike felt confident buying them. In one brilliant stroke, Microsoft hijacked control of the nascent PC market from industry-giant IBM. This move is what allowed MSFT stock to become the hottest tech stock of the 1990s. When Steve Jobs started the Macintosh project, he knew it would need software. And he knew the company best-suited to making Mac software was Microsoft. When Jobs showed Gates the Mac, Gates immediately grasped its significance. Gates agreed to write software for the new, mouse-controlled machine, and Apple later sent several Mac prototypes to Microsoft. What Jobs didn't know was that Microsoft was already working on its own graphic-based operating system, and that having those Mac prototypes in-house helped inspire the Windows team. Before Microsoft Office, there was Microsoft Word. This product, and the other members of the suite that followed — Excel, PowerPoint, and Outlook — formed Microsoft's second cash cow after Windows. The first version of Microsoft Office appeared in 1988. Much to the chagrin of Apple, Microsoft unveiled the first version of Windows. It was crude compared to the Mac, but quickly improved. And it worked with all those IBM-compatible PCs, which were taking over the market. Microsoft set its IPO price at $21 a share. MSFT ended its first day of trading at $28, and the offering raised $61 million. One month later, Microsoft moved its headquarters to Redmond, Wash.
With Windows 95, Microsoft nearly closed the gap with the Mac and delivered a solid operating system to an exploding PC market. In just over a month, Microsoft sold 7 million copies, driving profits up 58%. People literally lined up to buy it. Annual PC sales doubled just between 1990 and 1995 – then more than doubled again between 1995 and 2000. 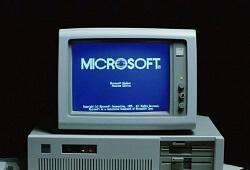 Microsoft revenue soared from $1.2 billion in 1990 to $6 billion in 1995 to $23 billion in 2000. Microsoft's runaway success became a liability when the U.S. Department of Justice brought an antitrust case against the company. The DOJ said MSFT had abused its monopoly power in operating systems by bundling its Internet Explorer web browser with Windows. That made it difficult for rivals like Netscape to compete. Ultimately the court extracted little from Microsoft, but the long battle – it wasn't completely settled until 2001 – severely harmed the company's reputation. Microsoft's image went from tech hero to corporate bully. Microsoft stock reached its all-time high of $53.60 just prior to the bursting of the tech bubble in 2000. At that point, MSFT stock had skyrocketed more than 58,000% from its IPO price and nearly 900% since the release of Windows 95. When Ballmer took over as CEO, he faced a maturing PC market and the DOJ lawsuit. But he added to Microsoft's challenges with a series of missteps. MSFT stock fell more than 37% from the day he took over through the day he announced he would resign (Aug. 23, 2013). While most of that decline came in the first year following the bursting of the dot-com bubble, from 2001 on, Microsoft stock was essentially flat. While Microsoft won the PC wars, the iPhone represented where computing was heading next: mobile. 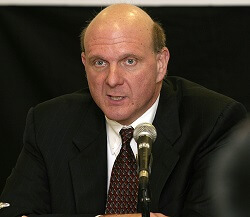 CEO Ballmer dismissed the iPhone, convinced it could not compete with older feature phones with keyboards. The next year, Google introduced the free Android operating system. Microsoft's failure to grasp the significance of the mobile revolution dropped the company in the tech hierarchy and ensured MSFT stock would lag for six more years. Microsoft made several pricey acquisitions in the Ballmer years, but none helped MSFT stock. Some were disasters, such as the acquisition of online ad company aQuantive for $6.3 billion. By 2012, Microsoft was forced to write off $6.2 billion of that. The same thing happened with Microsoft's $7.9 billion purchase of Nokia Corp.'s (NYSE ADR: NOK) devices division in 2014. Just one year later, Microsoft had to write off most of the deal to the tune of $7.6 billion. Nadella, previously the head of Microsoft's cloud division, was just the fresh-thinking leadership Microsoft needed. He immediately shifted the company's focus to cloud and mobile products, a strategy that started to move the needle for MSFT for the first time in more than a decade. Since Nadella took the reins, Microsoft stock is up more than 37%. All credibility is lost by repeated references to the Silicon Valley as home to Microsoft. The Silicon Valley is an actual place and Microsoft has never been headquartered there. It's true that Microsoft has never had its HQ in Silicon Valley, but it does have a large campus there and is generally considered to fall under the umbrella of "Silicon Valley" as one of the big US tech companies. But I take your point. I have tweaked the story to address your concerns. 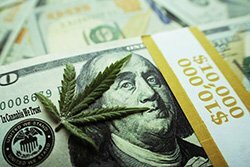 Thanks for reading Money Morning!